The new theme for Computer Repair Services promotes a professional, clean look and gives you the possibility to gain more customers in a short period of time. 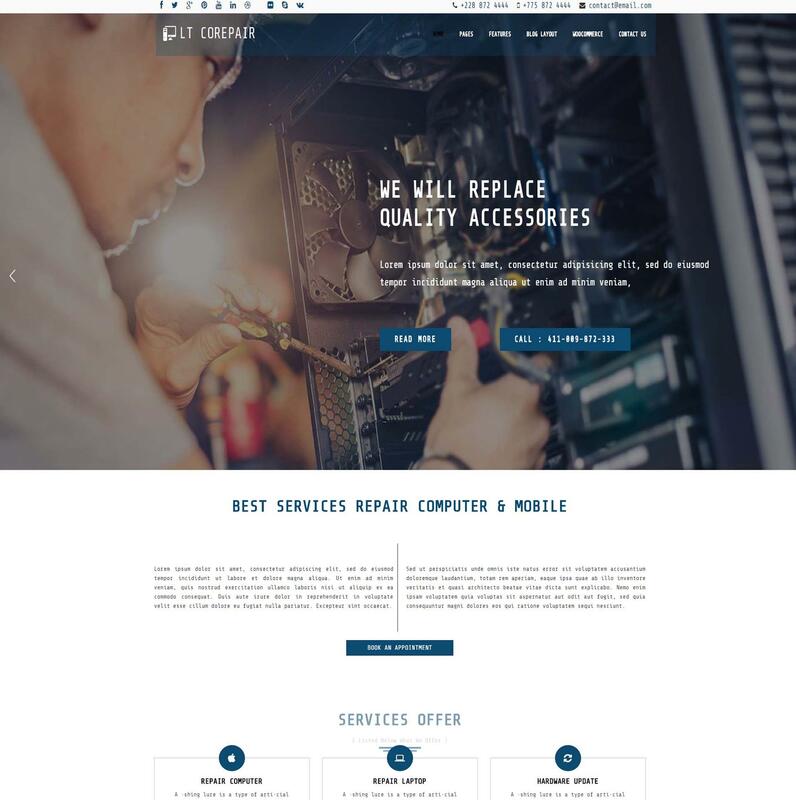 LT CoRepair is responsive WordPress theme designed especially for computer repair shop or mobile repair shop website. 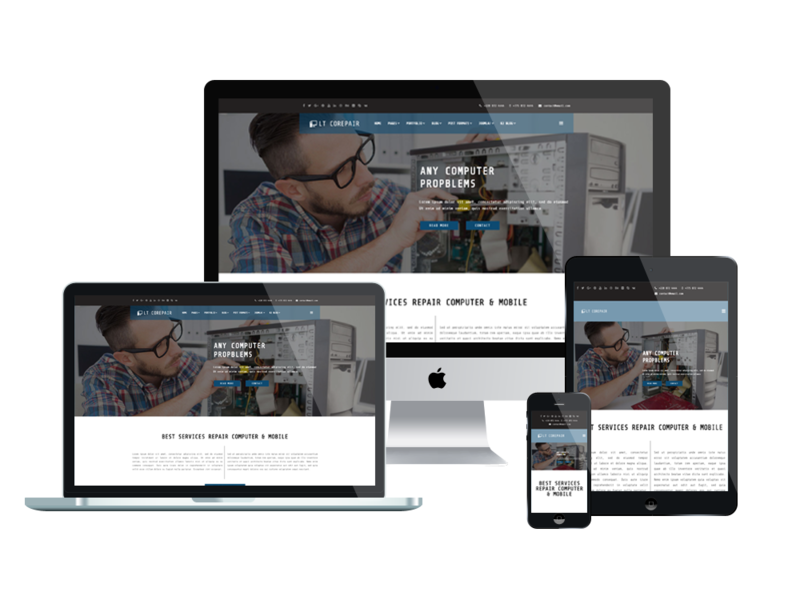 The Computer Repair WordPress Theme is a great theme with Genesis framework, support Dropdown Menu and Shortcode for present content easily. It will help in order to let people know that you are really good at fixing their devices. Our Computer Repair WordPress Theme promote professionalism and a clean, organized look using high quality images and great visual effects. Besides being fantastic, these themes are extremely easy to install and implement. 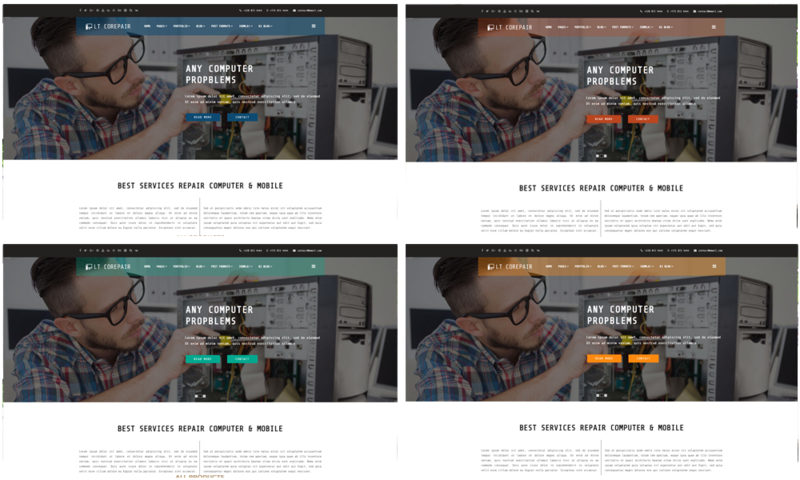 Allowing you to change the color scheme, images, widgets, menus, and the entire theme’s appearance. This way you’ll create a unique online place where people will love to come and ask for help.